San Pellegrino Sanbitter Non-Alcohol beverage is a typical Italian aperitivo. A drink that should be drink in small size before having dinner accompanied with snacks such as penuts, small crackers, etc. The bitterness is supposed to stimulate your appetite. This San Pellegrino product has the taste of Campari without the alcohol. 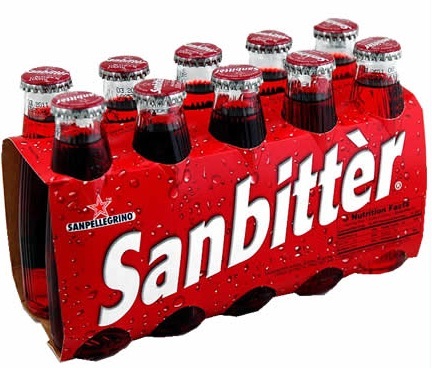 Non-alcoholic beverage with a bitter or bittersweet flavor and flavored with citrus. Good as digestives and for flavorings cocktails.